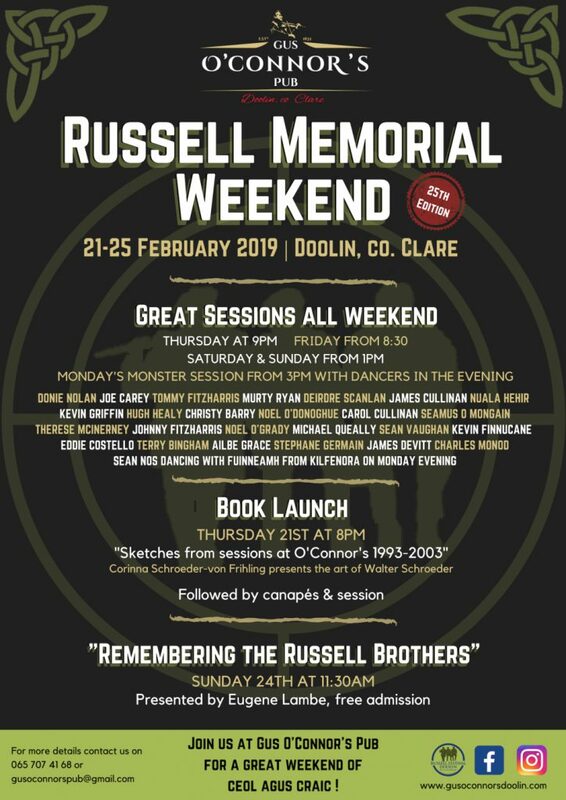 We are looking forward to the 25th edition of The Russell Memorial Weekend here in Doolin. The festival starts on the Thursday 21st February for 5 days, with our closing session featuring guest dancers on the evening of Monday 25th. Book Launch - "Sketches of sessions at O'Connor's 1993-2003"
Micho Russell left us in 1994, and to mark his 25th Anniversary we are hosting some special events on top of our usual trad sessions this year. On Thursday 21st February, we are delighted to welcome Corinna Schroeder-von Frihling for the launch of her book “Sketches of sessions at O’Connor’s 1993-2003 by Walter Schroeder”. Walter was Corinna’s husband, he sadly passed away in 2003 and Corinna has made a selection of sketches he did of sessions at the pub into a book. 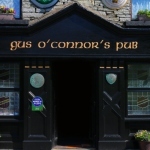 The book will be launched by Sean O’Connor, son of Gus & Doll and who was great friend with Walter, at 8pm. It will be followed by complimentary canapés and a session in memory of Walter with Noel O’Donoghue & friends. All the ingredients for a great trip down memory lane. Walter’s sketches feature many of our local musicians and friends including Micho Russell, Noel O’Donoghue, Michael Queally, Cyril O’Donoghue, Tim Shannon, Michelle Milan, Michel Bonamy, Declan Hunt, Tola Custy & many more. We will also have the amazing Eugene Lambe taking us on a journey through the years, sharing memories of Micho, Packie & Gussie Russell on Sunday morning at 11:30 (free admission). 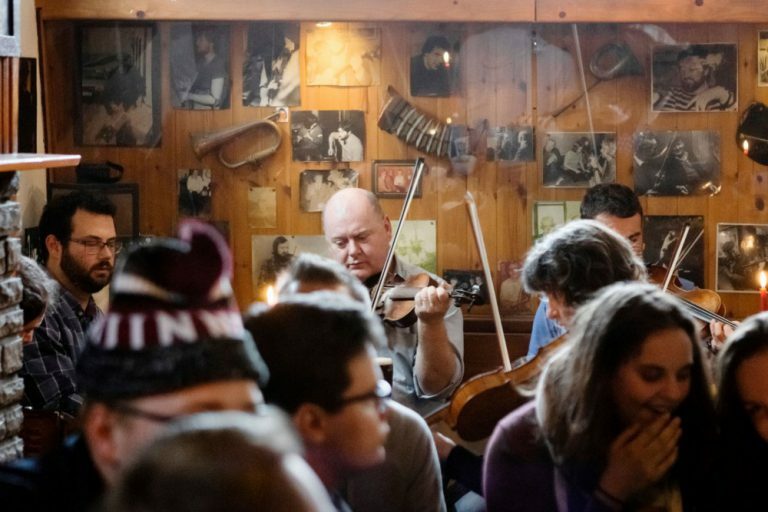 Eugene spent much time in Doolin, with Micho Russell especially, and is a great uilleann piper as well as a talented pipes, flutes and whistles maker. He is also a wonderful story teller and his presentation will feature recordings and videos as well. A showcase for the rising local talent of Traditional Music, Set Dancing, Brush Dancing and Sean Nós featuring performances from Damhsoiri na Boirne. The evening will feature performances from a host of local musicians. Mairtin O Connor, Donal Lunny & Zoe Conway. We are looking forward to seeing you all and to making it another great weekend !